This is part 3 of our reflux story, you can catch up from the beginning here or jump back to the second part here. So O was 17 weeks old and we had given up on the Carobel, the only thing prescribed by the doctors so far that may help us. We had days to wait till our appointment with the paediatrician we hoped with every sleepless night, every vomiting episode and each second of the screaming and gagging that this would be the appointment. This would be the time that someone would finally help us. At the actual appointment I couldn’t wait for the doctor to get over the checks for O’s growth and go through his blood results for the raised liver enzymes that had been a concern since birth. The doctor was about to say goodbye when I jumped on the chance. I wasn’t asking, I wasn’t suggesting, I was telling! The doctor seemed a little taken aback at my being so blunt, but asked a few questions, really listened to everything that I had to say, and believe you me, I told her EVERYTHING. She read back and saw that it was written in the notes from O’s last appointment that I had brought it up. She looked at O wiggling on my lap. She was quiet and seemed in thought and I had a horrible feeling she was going to say they would wait and see how things go. I held my breath for what seemed an eternity but was probably in reality only a few seconds. The relief just swept over me. I’d done my research. I knew this was a real thing, a real medicine that would really help! I was so grateful I could literally have kissed that doctor! If you have never heard of Ranitidine, it is a medicine that reduces the amount of acid produced in the stomach. This relieves the reflux symptoms and allows the oesophagus to heal. It won’t stop your child vomiting but should ease the pain associated with it. The one thing to remember is that it isn’t an instant cure. It will take a few hours to start working a little bit, but it’s effectiveness will increase the longer it is taken, as long as it is taken regularly. It could take over a week to be fully effective. It is also dosed according to weight, O was initially on a miniscule 0.3ml 3 x per day. As his weight went up we would see his symptoms start returning and needed to ask for his dosage to be worked out again. Our GP was a bit rubbish at this but the pharmacist was great! I figured that would be it, but apart from giving us the prescription, I was also told that O needed to be weaned early. 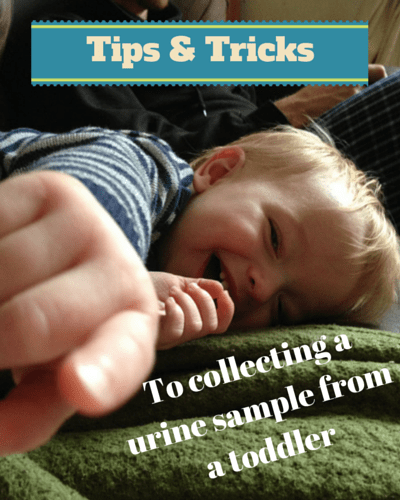 With the combination of reflux and poor weight gain there was no way his little body could grow without trying everything in our power to stop him vomiting. I didn’t tell the doctor this, but after the Carobel incident, I had taken it upon myself to start giving O baby rice. Obviously at only 17 weeks this goes completely against what is recommended nowadays. But when the twins were babies the recommended age to start solids was no later than 4 months but no earlier than 3 months. They were 15 weeks old when they started solids. Even so, I felt guilty admitting that I had done this. Why? Because on researching reflux I had read some forums where mothers were being slated for weaning their children early, even if it was a doctors recommendation. All I can say is that the combination of exhaustion and listening to O’s almost constant screaming had not put me in a particularly sane state of mind. I plan on posting about this in the future so I’ll leave that one there. Needless to say I felt another wave of relief knowing that I was now really allowed to do what my brain had already been telling me was the right thing! Within three weeks I had a child who was happily munching on homemade purees and was screaming so much less often! He still vomited all the time, but wasn’t quite so upset about it. His constant feeding schedule eased slightly, by slightly I mean that rarely occasionally he would go three hours, but more often than not would stretch to 2 hours instead of the 40 minutes to 1.5 hours max that we had before. The crying and whimpering while he fed was starting to lessen but was still happening. He didn’t fight quite as much while feeding. He really wasn’t fussy on the ranitidine, it does taste like really strong mouthwash though so I don’t blame him! So there were definitely improvements. Things still weren’t 100%, but I’ll leave the rest until the next instalment, or you could be here for another hour reading this! 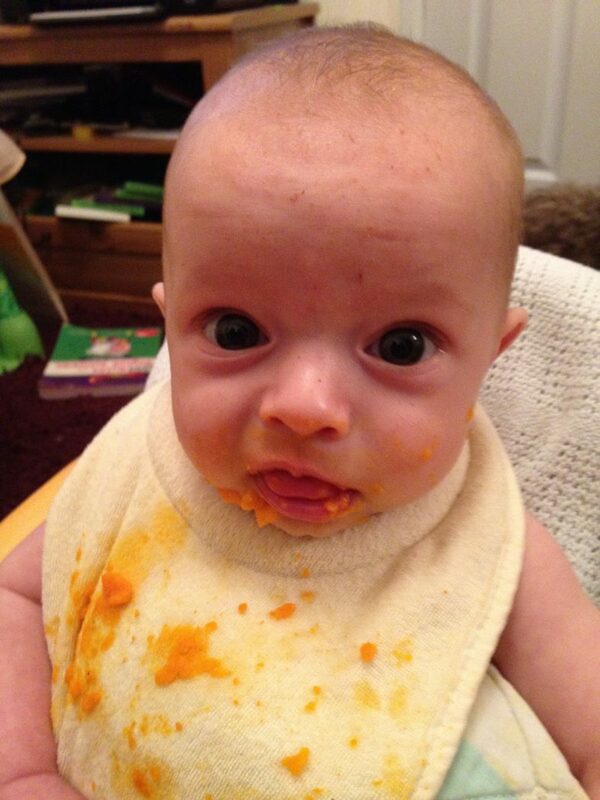 Have you struggled with a baby with reflux? I’d love to hear your experiences.